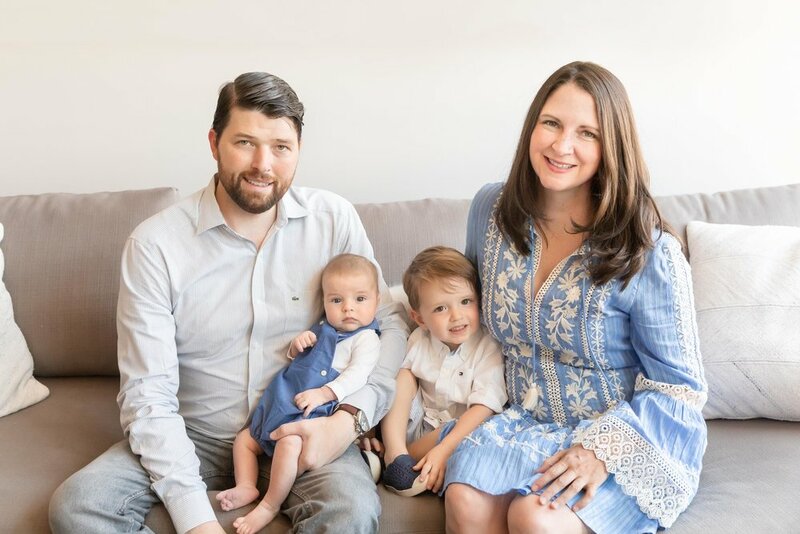 I met Patrick and Shannon when we worked together at a New York law firm in Manhattan, and I’ve had the pleasure of photographing this beautiful Brooklyn family on multiple occasions. Last year, before baby Keir was on the scene, we met for a fall family photo session in Central Park, followed by a holiday studio photography session for their toddler, Finn. 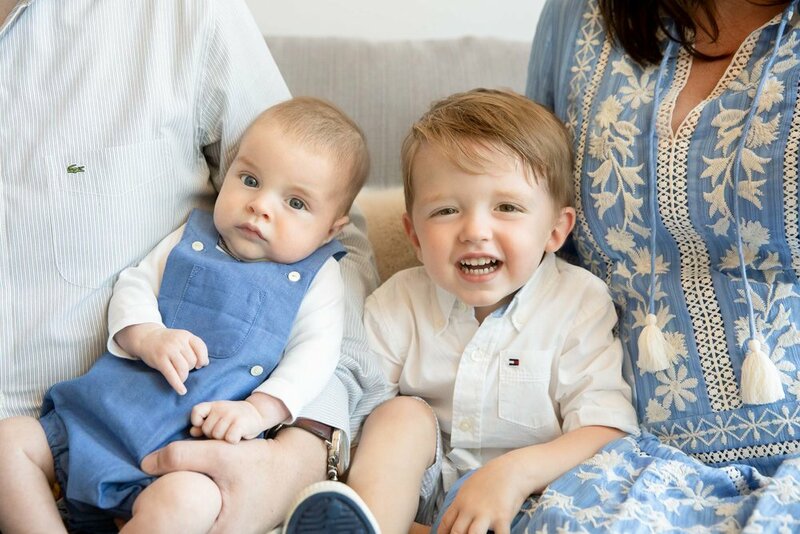 Since this family is near and dear to my heart, you can imagine how excited I was when I heard Finn was going to become a big brother to a sweet baby boy! 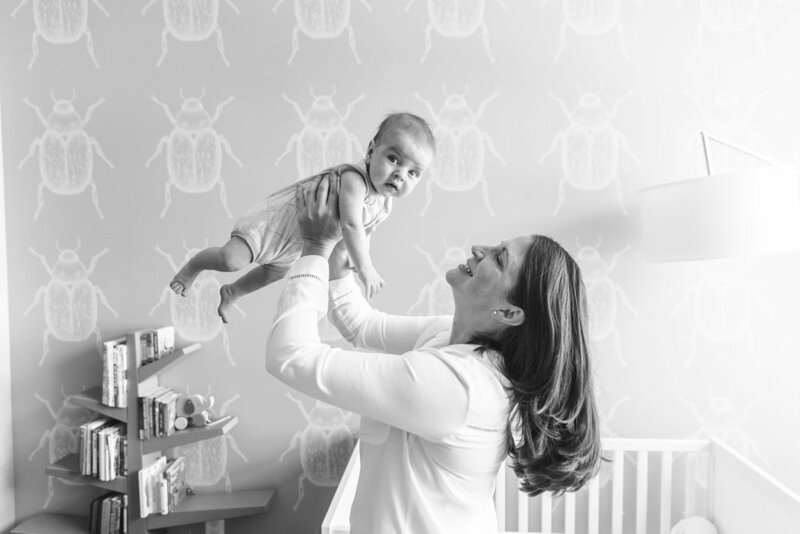 I was even more thrilled to be invited to photograph their family in their new Brooklyn apartment in DUMBO shortly after baby Keir was born. 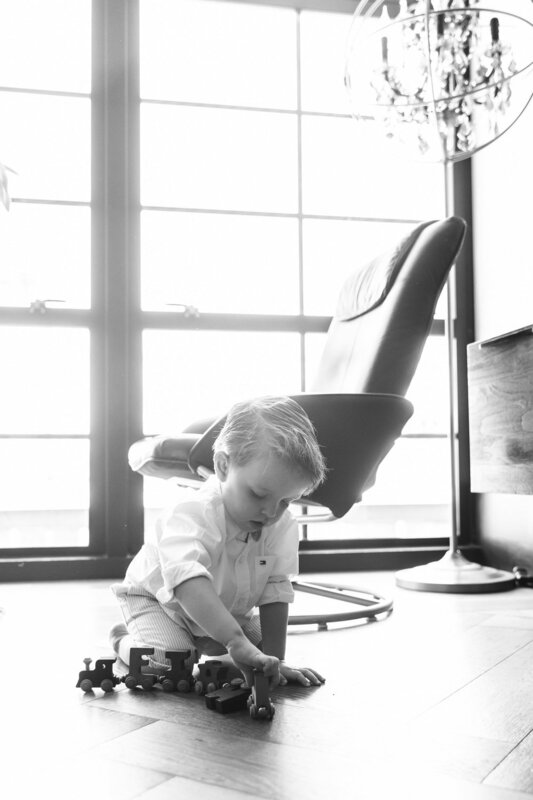 Patrick, Shannon, two-year-old Finn, and three-month-old Keir recently moved into a gorgeous new DUMBO home in Brooklyn and asked me for a lifestyle family and newborn photo session to celebrate welcoming baby Keir into their family. Shannon styled the family beautifully, and their lovely home was the perfect setting to capture a few pictures of their family of four! 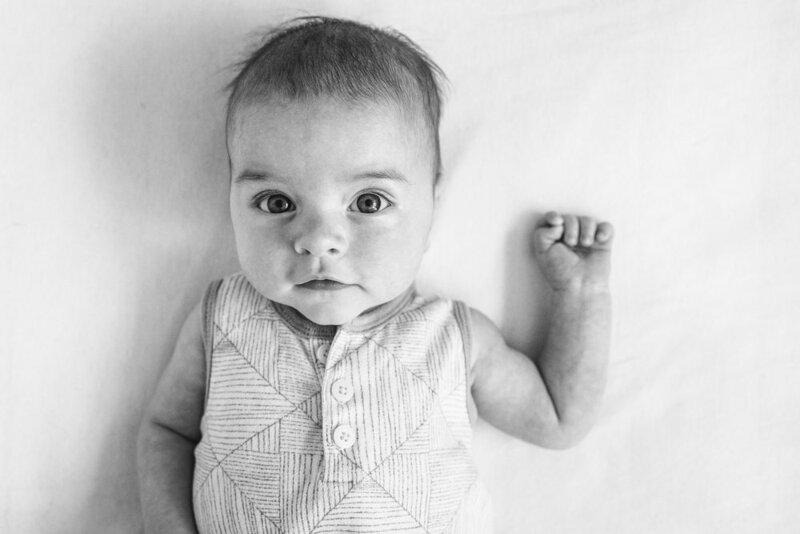 I love in-home newborn sessions because the family is so comfortable in their own home, and it really helps to capture the natural interactions between family members. 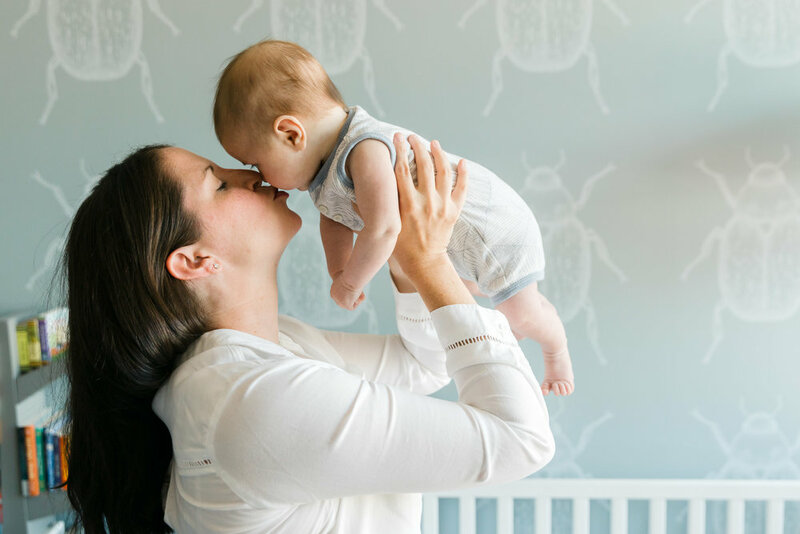 I also love helping families preserve memories of the New York apartment they brought their baby home to so they can remember those precious first moments at home together. 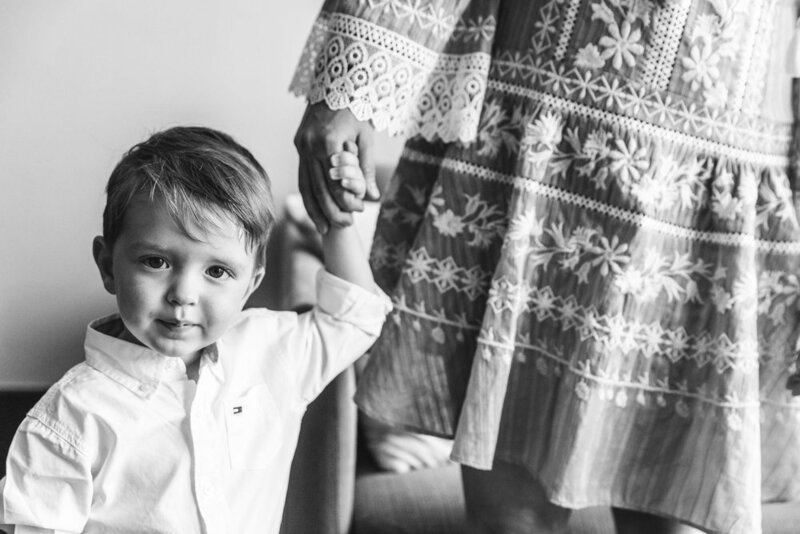 Mama was a bit concerned that their two-year-old would be wild, but I have a son his age, so I assured her we would have a great time and would be able to capture many sweet family images as well as some honest and candid images that she would love just as much! I love that we were able to capture some pictures of Finn playing with his toys and interacting with his little brother, and I especially love that we were even able to capture a picture of Keir smiling! These two brothers will have so much fun growing up and playing together. And Patrick and Shannon will have so much fun trying to keep up with them! 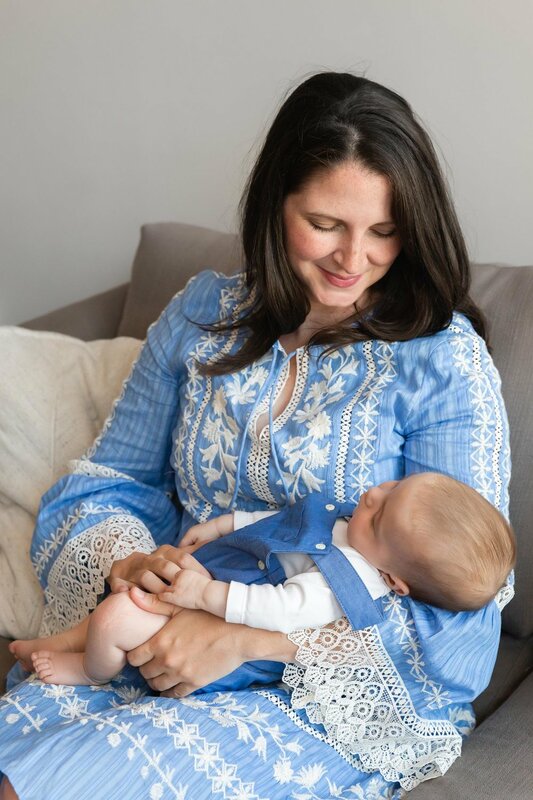 If you’re wondering if an in-home session is the best choice for your family, read my recent blog post, Is in Home Newborn Photography in My New York City Apartment the Best Choice for My Family? and contact me today to schedule your session!